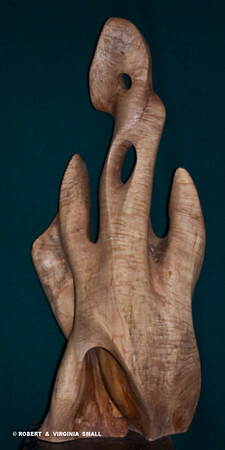 Trees, living things, mean different things to different people. 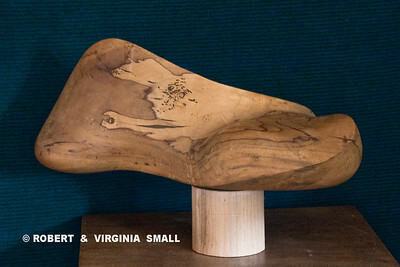 They are a source of beauty, whether tall and majestic, small and blossoming or gnarled with age. 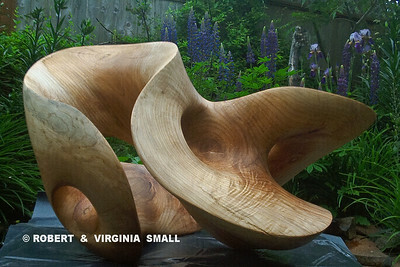 They help to clean the air we breathe and afford us shade from the heat. 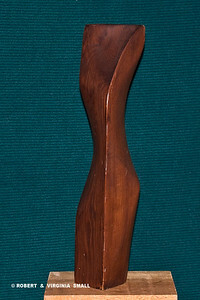 They provide us with fuel, with shelter from the elements, and with food. 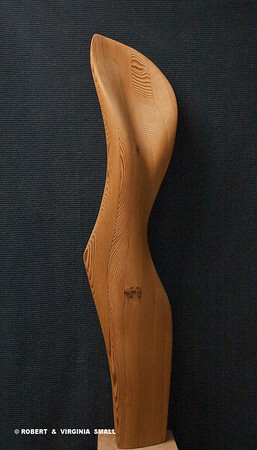 Trees are lost to age, disease and in the name of progress when we clear space for homes and industry. 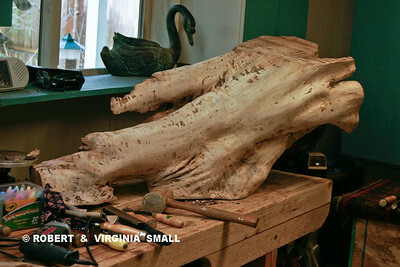 Working in wood is my way to honor trees and all that they mean to us. 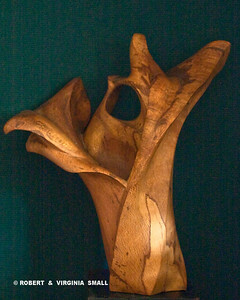 Many sculptors and carvers do beautiful and meaningful work finding realistic forms of birds, animals or the human form in their works. 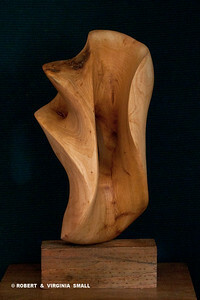 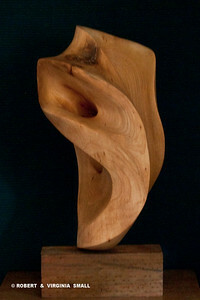 I sculpt wood in free form, searching for the shape and flow within the wood. 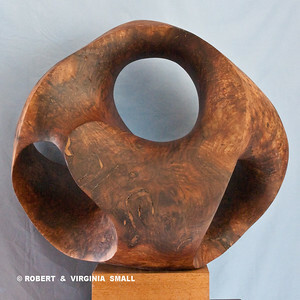 My greatest satisfaction and delight is to have someone run their hands over a sculpture. 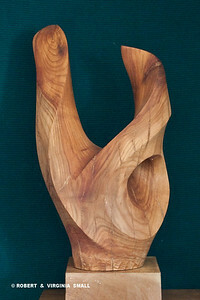 The first time I watched the reaction of a blind person to that tactile experience all the hours of pondering and turning, chiseling and sanding were repaid in full. 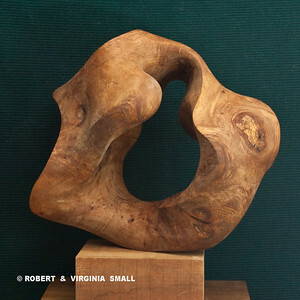 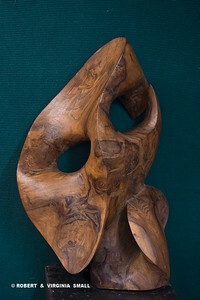 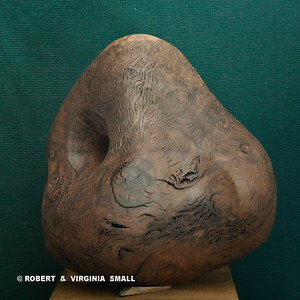 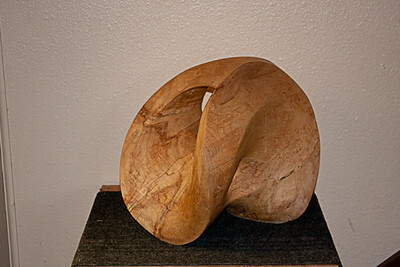 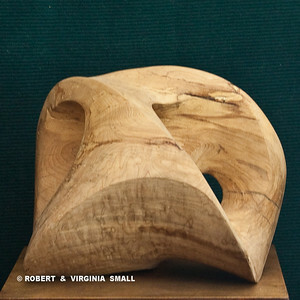 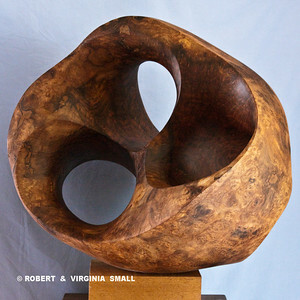 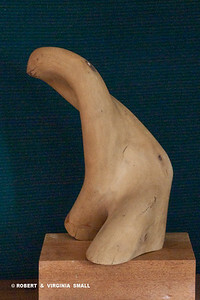 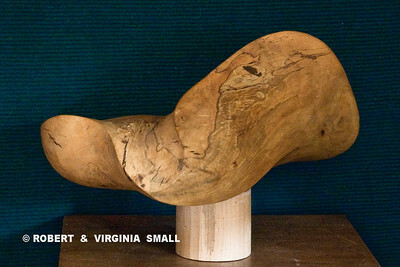 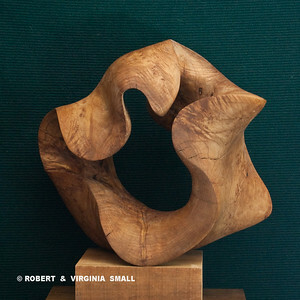 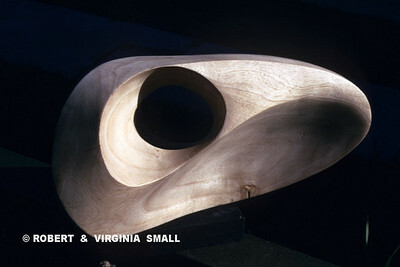 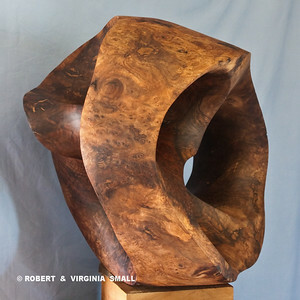 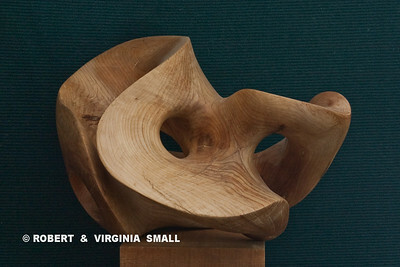 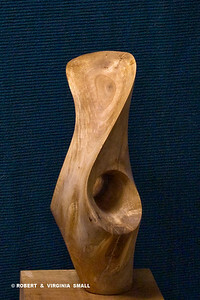 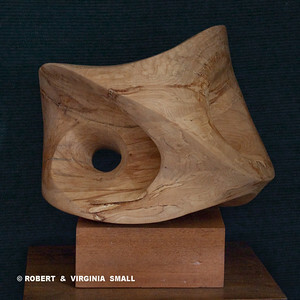 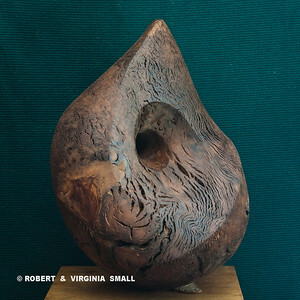 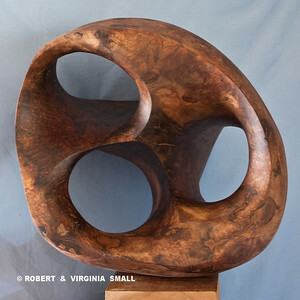 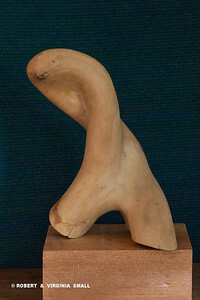 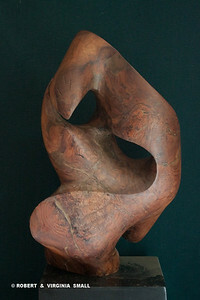 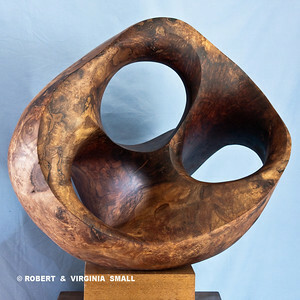 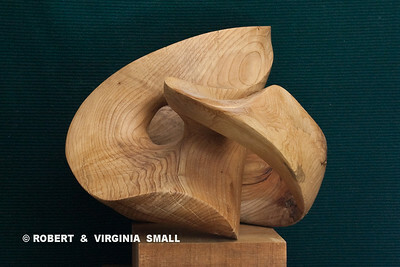 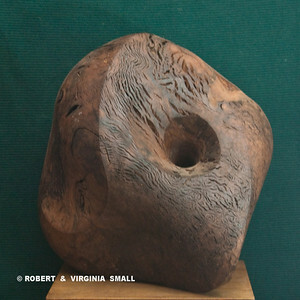 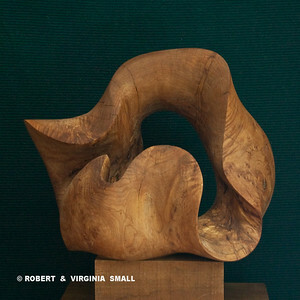 Robert's wood sculptures have been exhibited in the All California 56th and 58th National Orange Shows, in the Venice Canal Festival and are in private collections. 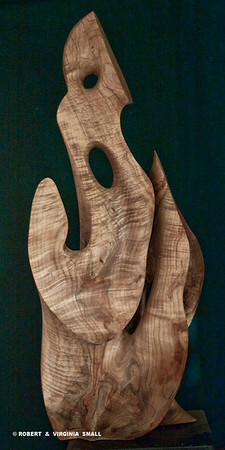 PLEASE LEAVE US YOUR COMMENTS AT THE BOTTOM OF ANY PAGE.